Quality Eyewear & Affordable Prices! 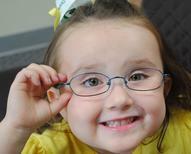 Welcome to 20/20 Vision Center, where we are family oriented and have been locally owned and operated for over 15 years. We pride ourselves on customer service and give each individual the attention you need! With over 30 years experience in the optical field, we have three licensed Opticians on staff and two Optometrists ready to assist you with all your eye care needs. We offer a wide range of eye-related services. Please call our office for more information or to schedule an appointment today. We are looking forward to assisting you with all your eye care needs. We have onsite eye exams, eyeglasses, safety glasses, sports glasses, sunglasses, contact lenses, on site repairs and more for you and your family! Give us a call or stop in today 843-797-5711! We can't wait to hear from you!